What an interesting photo. There’s so much to see! Thank you! Haha yes Baby Z was quite overwhelmed! Baby Z was overwhelmed with the sights! Thank you! It was such a pretty scene, out of a fairytale! Looks like a brilliant view, I loved the boat trips last time we were there. It is so serene and peaceful, isn’t it? It looks beautiful there where is it? 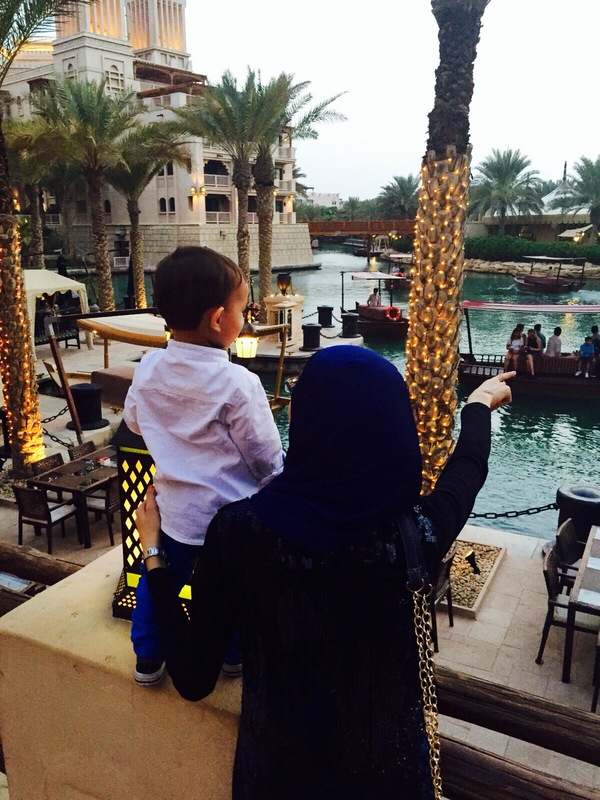 It’s Madinat Jumeirah in Dubai. Truly an Oasis! It really is! We spotted plenty of birds and boats, but Baby Z was most perplexed with the water. Yes, he was absolutely loving it! Especially looking at the boats. Thank you! It really was such a pretty sight!